The GSPCA are excited to report that Olivia the loggerhead turtle is doing extremely well in Gran Canaria and has been released back to the wild on Tuesday 6th September 2016. We are pleased to announce that Olivia the loggerhead turtle was successfully released back to the wild today at lunch time. 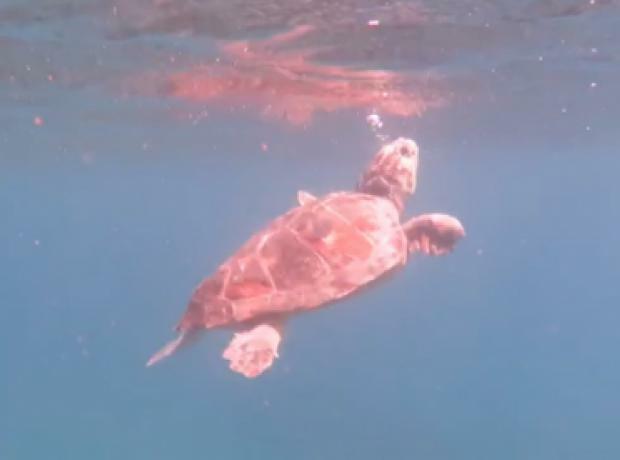 Steve Byrne GSPCA Manager said "We have just had a message and pictures sent from Gran Canaria saying that Olivia the loggerhead turtle is back in the wild." "Olivia was released by the team from Centro de Recuperación de Fauna Silvestre an the south east of Gran Canaria on a beach called Playa El Burrero." The GSPCA are excited to report that Olivia the loggerhead turtle is doing extremely well in Gran Canaria and will be released back to the wild at 12.30pm today. On Thursday, 28th July 2016 the GSPCA undertook one of its biggest moves, the last stage in the rescue and rehabilitation of Olivia. 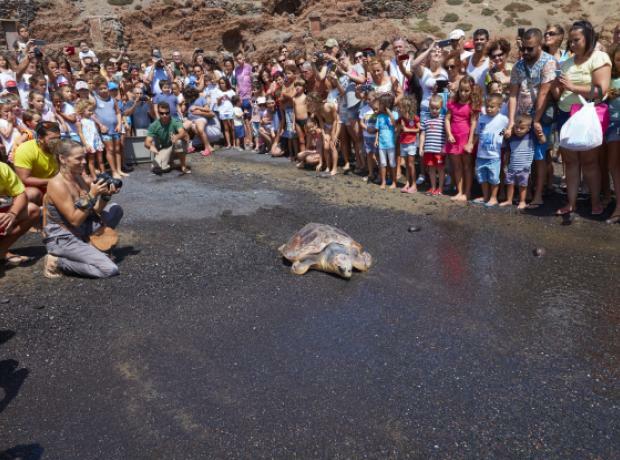 Olivia, a large loggerhead turtle, finally traveled south at the end of July to complete the rehabilitation process prior to release in the warm waters off Gran Canaria which has been taking place over the last month. 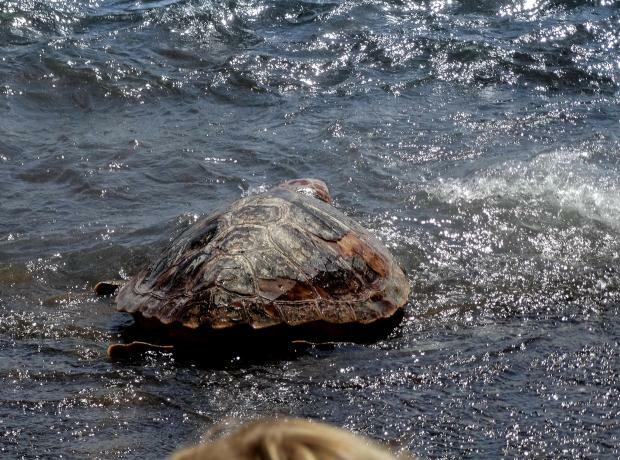 We are pleased to report that Olivia the loggerhead turtle is doing extremely well in Gran Canaria. Olivia, a large loggerhead turtle, is finally traveled south to complete the rehabilitation process prior to release in the warm waters off Gran Canaria. 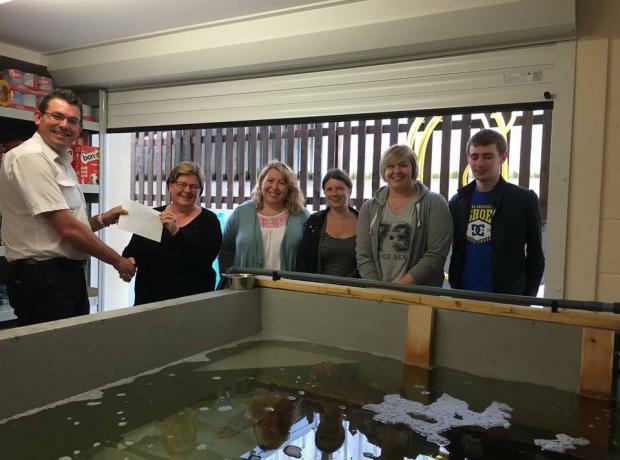 The GSPCA staff have just said their last farewells to Olivia the loggerhead turtle as they head home to Guernsey. After 5 months of care Olivia is now in a pool at the Centro de Recuperación de Fauna Silvestre de Tafira. Earlier this morning Olivia was placed in a large pool at their rescue centre in Gran Canaria and she has already made herself at home. Olivia will likely only be at the rescue in Las Palmas for a very short period as they feel she is ready for release after the care of the fantastic team at the GSPCA. This Thursday, 28th July 2016 the GSPCA undertakes one of its biggest moves, the last stage in the rescue and rehabilitation of Olivia. Olivia, a large loggerhead turtle, is finally traveling south to complete the rehabilitation process prior to release in the warm waters off Gran Canaria. Olivia, who nearly died back in March was found in cold shock on a wintery beach on the west coast of Guernsey. If the GSPCA had not been alerted and been able to rescue her quickly she would have surely died. 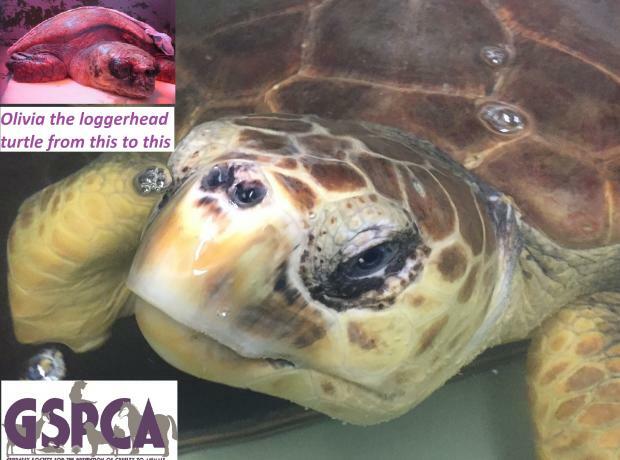 Today GSPCA team members are putting together a travel box to meet IATA regulations for Olivia the loggerhead turtle as flight plans are finalised. Having spoken to countless contacts and working with the wonderful vets and team at Petair we are hopeful to find transport and a route at a cost less than £12,500 than previously quoted which may well be with less time in the air for Olivia. Finally the documents are in place to fly Olivia south and we are appealing for donations or for a plane to help transport her to the Canaries in the next few weeks. Olivia who nearly died in March is the first ever loggerhead sea turtle to visit Guernsey and they are so rare there are only 40,000 breeding females in the wild. After months of rehabilitation she is now strong enough to endure the journey back to warmer waters and a rescue in Gran Canaria and we are appealing for donations or a plane to help fly her to where she belongs. The Insurance Corporation are an amazing, caring and wonderful company that puts so much into the community. Last month they gave out thousands of pounds to conservation projects across the Channel Islands and at the GSPCA were lucky enough to receive The Peter Walpole ‘People’s Choice’ Conservation Award Guernsey which came with a prize of £500 to help with the conservation work on site. 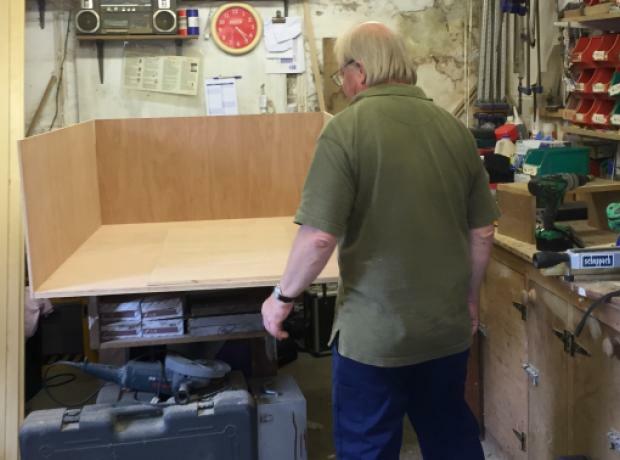 The Insurance Corporation are also one of our Build Partners who are part of our newest build project which has some very exciting news coming very soon.